Anyone end up investing in Bitcoins? I’d say bitcoin is not adapting fast because for the typical person is has no benefit over what they use today. Yes. Bitcoins were used for drugs but what currency isnt? Also, Silk Road shut down with millions seized and bitcoin still is strong due to other country adoption. Yes. You also can have your own identity and bank accounts wiped out as well without bitcoins if you are not careful. There is a lot of online storage places that make it like a bank account and sometimes offer better protections than bank accounts with 3rd party auths and private keys for wallets. You have to be smart with your digital wallet like you would your real one. You can print off and export hard copies of wallets so you don’t have them all in one place and your digital wealth is not stuck in one location that you can lose. Use different wallets. Don’t keep all your coins in one wallet that is on your phone. I have one wallet on my computer that I transfer from exchanges to and keep for long term and every 10 coins I get hardware keys for. I keep about 2-3 coins in a hosted online wallet for buying and selling coins. I don’t even like keeping more than $100 in my Paypal account. Gotta move between wallets. Same thing why my debt card has a max purchase limit on it and keep my high limit card at home for emergencies. I understand what you do may work. Last year a bunch of peoples Linodes and other places got hacked just to steal bitcoin and that was when they had a lower value. 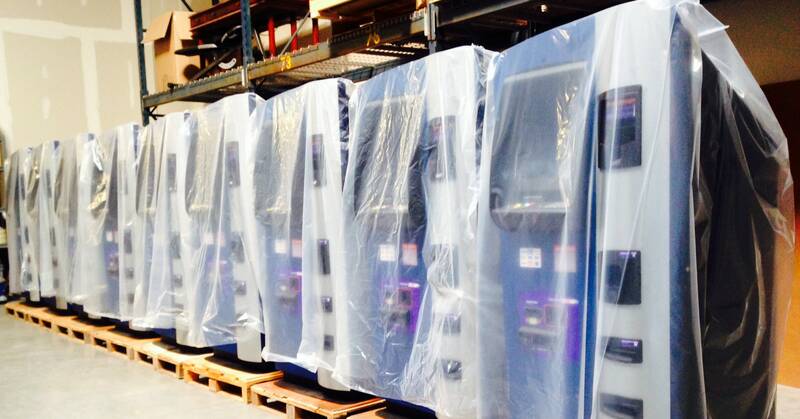 oh boy oh boy, bitcoin ATMs are here! Three high school buddies from a tiny Canadian town say that they will flip the switch on the world's first bitcoin ATM next week. It will operate near the entrance of a downtown Vancouver coffee house. Ya they look pretty cool. They specifically said bringing them to the US was a pain with all the regulations. Lucky he still have the private key. A lot of people had old wallets they can’t recover. I am glad this is booming. So many people have coins and looking to do something with them so should have my Bitcoin/Litecoin casino up and running to start generating some investment revenue from share holders. is there a cliff notes page somewhere where i can read up on bitcoins? i’m pretty interested but dont really understand it. For an overview, this has some videos and readings. Depending on what you want to do and your long goal, merchant/individual, etc. there can be different things to read. I am jealous you are in Canada and get to use the ATMs in the near future. With the large investments and power being added to the network, this has been a risk for a while. It isn’t really a hack or exploit, just ways miners can cheat the rest of people out of money for mining. It is right up there with these big mining companies releasing tens of Th/s rigs into the network and collecting a ton of rewards until the difficulty adjusts. Yea. Debating selling pretty soon and holding off for the next crash before going back in. It has been a fun ride. Value keeps going up and leet hax are going to happen more and more. Ya someone put the future value at $1,000,000 per bit coin in the far future. Until they come up with a better wallet security, they will really be out of the consumer space until the education curve ramps up and gets people more aware of security and how to protect themselves. Even my bitcoin casino I have been building is implementing off line storage to prevent someone from highjacking the server and gaining access to the wallet. did it really hit 1000 today?